As the transfer market deadline (extended to September 2nd) inches closer, many clubs are pressured to make last minute shopping. One of these clubs is EPL giant Manchester United who have yet to add the midfielder they have been looking for all summer. After a move for Everton's Felliaini was dismissed by Everton, they turn their attention to Spain where they are looking Ozil, Fabregas and Banega. The first two said that they were staying so only Banega is left. The other club fighting for Banega is the very same one that took star player Roberto Soldado from Valencia earlier this transfer window, Tottenham Hotspur. With a world record amount of cash coming in from the soon-to-be-announced sale of star player Bale (about 100 million euros), Tottenham will be looking to splash some cash quickly before the deadline to replace Bale and reinforce other areas. 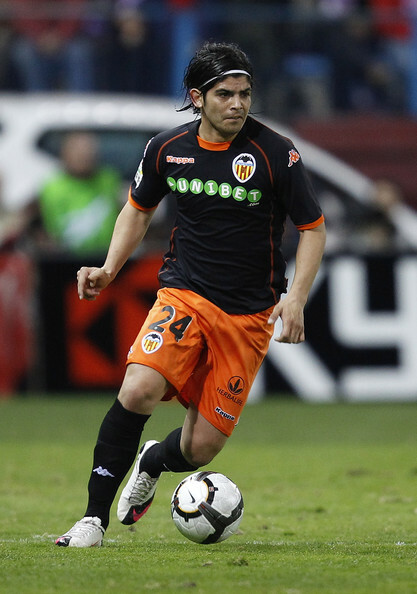 Banega seems to fit into their plans due to his previous link-up with Soldado while he was at Valencia. Both clubs seem to willing to pay Banega's release clause of 30 million euros.